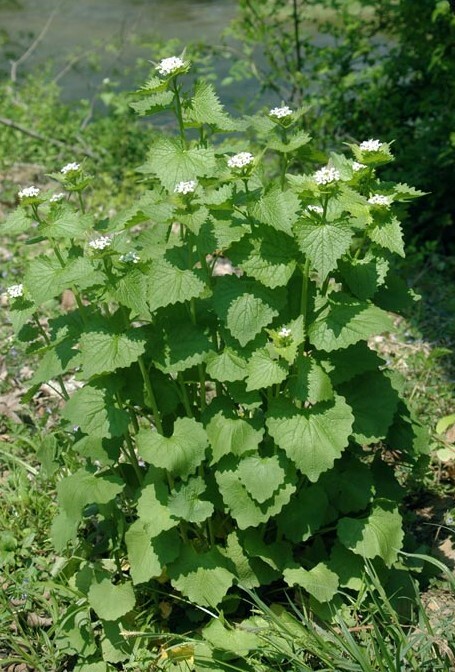 Garlic mustard, an invasive, non-native plant species, in full spring bloom in Dumbarton Oaks Park. Dumbarton Oaks Park contains a variety of invasive, non-native plant species, and each of these species decreases biological diversity. Fortunately, Conservancy volunteers remove significant amounts of invasive species each year. Click here to see when the next invasive plant removal event will occur.